Vicious dogs pose a risk to all members of the Eugene area, but especially to children. A dog bite in Eugene should be taken seriously. Often times children do not understand how to approach a dog. Even children who have been taught not to approach a strange dog may forget at the moment and be threatened. Aggressive dogs often chase after children when they get out of a fenced yard. It is important to know the dog bite laws for the state of Oregon and hire an experienced dog bite injury attorney if you or your child has been injured. The following are some steps to take after a dog bite in Eugene, Oregon. Report the dog bite incident to the police. If it is not a threat, call non-emergency dispatch and make a report. A responding officer will make a decision as to whether to call animal control and whether a crime occurred. Clean the wound immediately with soap and water and then apply antibiotic cream and a bandage. For more significant wounds, apply pressure with a clean cloth and seek immediate medical attention. Visit a doctor to exam the wound if the skin was broken or you experience a fever or the wound is swelling. Document the dog bite incident. Be sure to gather the contact information of the dog’s owner as well as request the rabies vaccine license number and the name of the veterinarian who administered the vaccine. Hire an experienced dog bite injury attorney to handle your case. 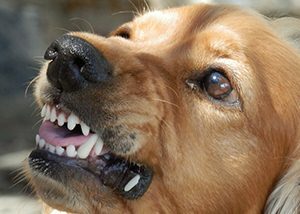 Dog bite attorneys and lawyers of Parke Gordon Law Firm help victims of dog bites in Eugene, Oregon, and surrounding areas. Our dog bite lawyers will fight for you to obtain the highest possible settlement to fairly compensate you for injuries due to a dog bite injury. Dog owners are responsible to keep their dogs under control and to prevent their dogs from biting people. Dog owners are to be held responsible for the actions of their vicious dogs. A dog bite injury attorney from Parke Gordon Law Firm will be happy to assist you in your dog bite claim. 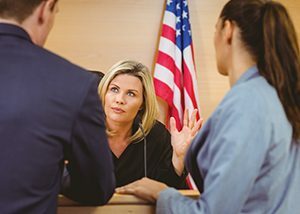 Our experienced dog bite lawyers can help you understand the statute of limitations in Washington. Simply put, a statute of limitations is a law that governs the amount of time you have to make a claim and bring a case to court after you have suffered a dog bite injury. 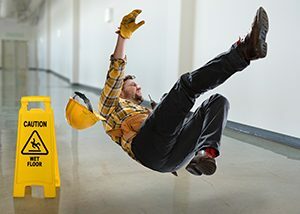 Deadlines for such claims vary by state but range from one to six years after the injury occurred. Typically, the time limit is two to three years. Check with our dog bite personal injury attorneys to know for sure about your particular case. It is important to never wait too long to hire a Eugene dog bite lawyer after a dog bite due to these time restrictions. Call (541) 485-4878 now for a free consultation.